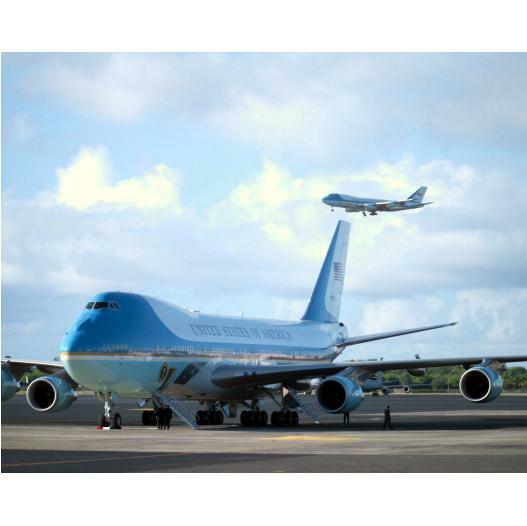 A U.S. Air Force office that oversees the procurement of the new Air Force One has adopted a new name to demonstrate its expanded mission and aircraft fleet. The service said Monday the new presidential and executive airlift directorate will operate as part of the Air Force Life Cycle Management Center with about 300 employees at Tinker Air Force Base in Oklahoma and Wright-Patterson AFB in Ohio. “Many of the platforms [aircraft] have similar challenges and a shared mission set, so it made sense to put all of them under a single program executive officer,” said Maj. Gen. Duke Richardson, the new directorate’s PEO. The presidential and executive airlift directorate manages the VC-25B procurement effort, refurbishment of the C-32 aircraft and VC-25A fleet maintenance work. The new office expects to complete the Analysis of Alternatives for its three aircraft – C-32A executive aircraft, the Navy’s E-6B airborne command post and the E-4B national airborne operations center – in late 2019. Other special mission and executive aircraft under the new directorate’s purview are C-12, C-21, C-37 and C-40.